Yet another reason to visit (or live in!) Asheville, NC... safe weather! Cities across the US were recently analyzed by weather.com for their safety as it relates to weather and Asheville came in on top as one of eight "America's Safest Weather Cities." The weather dangers to all US cities listed and measured across the USA were, heat, flood, tornadoes, cold, snow/ice, lightening and tropical cyclones. And while no city is "weather proof" Asheville was rated the #1 safe city in the Southeastern region and one of the eight safest weather cities in the USA. Being in the mountains of Western NC, and starting at an elevation of around 2200' above sea level, summer temperatures are much milder than the rest of the southeast, and even when temperatures seldom reach the 90s and above, the number of days a year this happens is few,especially when compared to the rest of the Southeast; and Asheville cools off nicely in the evenings - back down to 60's 70s. Additionally, there are four pretty even and short seasons, each about three months long, each offering the best of what our seasons are all about. Fall and Spring are my personal favorites. In our short winter, Asheville does have snow - we enjoy our snow - because it isn't overwhelming; and if it is extremely cold for a week, well, the next week could be in the 60s giving quick respite and melting all the snow away for easy hope to a soon to be spring. 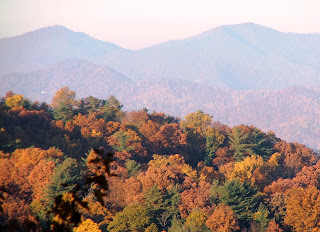 We get plenty of rain to fill our streams, help our beautiful waterfalls and add to the richness and diversity of the flora and fauna; BUT Asheville itself lies in a "rain shadow" for a less rainy environment than our mountain city neighbors ("Less rain falls in the... Asheville basin, located in a rain shadow."). Go ahead, check out the weather report for Asheville, and we'll see you soon no matter! Lodging opportunities abound to help you with your stay - consider an Asheville Bed and Breakfast location, or Asheville Vacation Rental or Asheville Cabin Rental - call Vacation In Asheville, 9am-7pm daily. 828 994-2627.